I'd like to preface this post by saying that it isn't sponsored; none of these brands have asked me to feature them, nor do they know I'm writing this post. I simply love reading people's wishlists, so I thought I'd write a little one for Archie's blog! I don't know about you, but there's always things I'm after... and since getting a puppy, I've discovered SO many beautiful bits that I want to spoil him with. Sadly, I left my job due to poor health and I'm currently trying to set up a little business from home (you can find it here if you're interested), so Archie will have to settle for cheap and cheerful for now, bless him. Sorry for the pixelly photos, sadly I can't fix them unless I leave them tiny! Dober and Dasch have a newly launched website; I follow them on Twitter and once they were open, I couldn't resist having a browse. 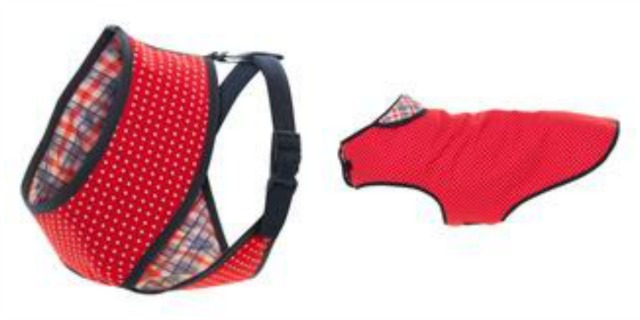 Imagine how excited I was to discover that they had a coat and comfort harness called the "Archie"! Even better, it's checks and polka dots, my absolute favourite. It comes in multiple colours (as do all their products), but red is the winner for me. 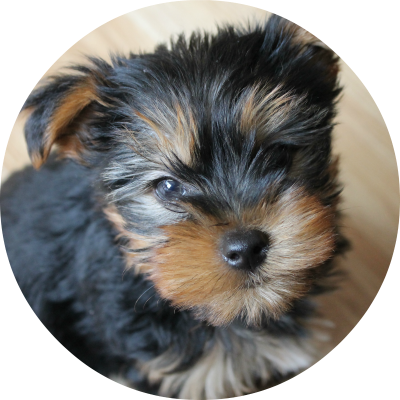 Their size range looks fantastic, they cater for the tiniest of dogs all the way up to XL, and the website is a joy to look through. At £59.99 and £39.99 respectively, these are a luxury I'd love to treat Archie to at some point. Ahhhh Teddy Maximus, how we love you. I bought Archie a bow tie from them when I first got him, which is adorable: it's still available, here, and it's on sale! The craftmanship is excellent, it's just beautiful and I've totally fallen in love with all their products. I can only dream of being able to own one of their incredible luxury dog carriers one day, (honestly, I browse the site at least three times a week and dream of that beautiful blue carrier!) but at £15.99 I may treat Arch to one of these gorgeous toys at Christmas. I love this harness! We visited Pet London's stand at Dog Fest a few weeks ago; I went with the intention of buying a couple of Puppia harnesses, however the tent was super busy so I only had a chance to grab one. It fit Archie like a glove, and it's now one of our favourites... so of course, I need more! 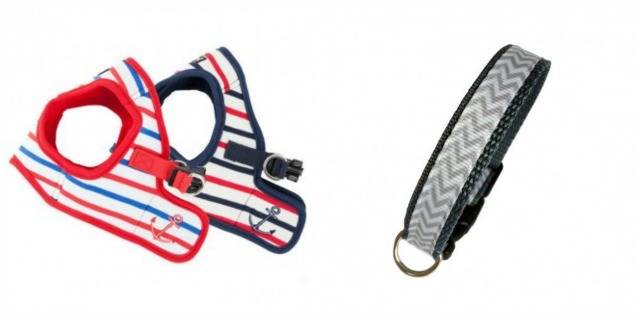 We spend a lot of time at my parents' caravan in Hayling Island, and I just couldn't resist the anchors and nautical feel of this harness, I had to add it to our wishlist. It would be the perfect attire for our days at the beach, and I've recently discovered how much comfier Archie seems to be in these step-in style harnesses. I love both the navy and the red, and I hope to pick either up at some point: I'd love to do a beach photoshoot for our blog and instagram! Archie wears a size small in this style, for anyone who might be wondering about sizing. This particular harness retails at £30. I've followed Boots and Bones since shortly after we got Archie, and I absolutely adore their collars. Normally I'm drawn to their colourful rainbow prints, however I love how simple and classy this grey chevron is. Their prices are super reasonable, this collar retails at just £10.99 in Archie's size (XS), and I can't wait to treat him to a few once my income is more stable! They've got some beautiful doggy models on their website too; check them out! Lastly for this wishlist post, we have another beautiful collar, this time from The January Rose. 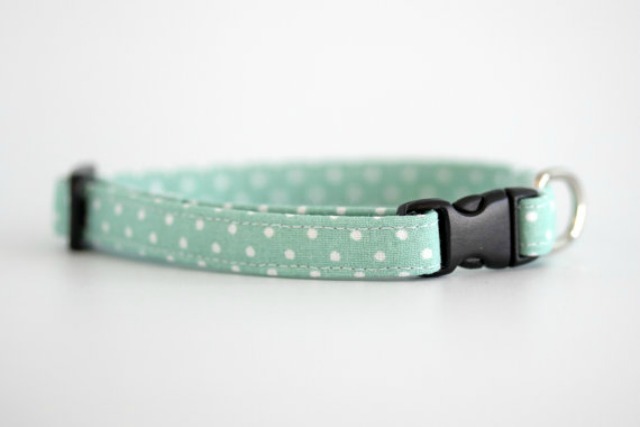 I absolutely love Louise's etsy shop; I browse it regularly and I've had this collar sat in my basket for weeks. I think it'd look so nice against Archie's (rapidly greying!) fur. Again, her prices are so reasonable considering each item is handmade to measure... this collar is just £11.99 in the thinner width. 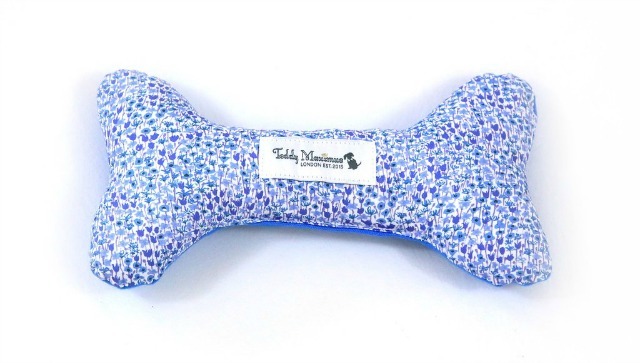 For those of you with girly dogs, Louise also stocks collars and bracelets in stunning Liberty fabrics, too! Additionally, there's gorgeous hand-stamped keyrings with individual dog breeds on, that I MUST have eventually, haha. Go and have a broswe through her etsy, you won't be disappointed. I hope you've enjoyed seeing our current wishlist! What's on yours?